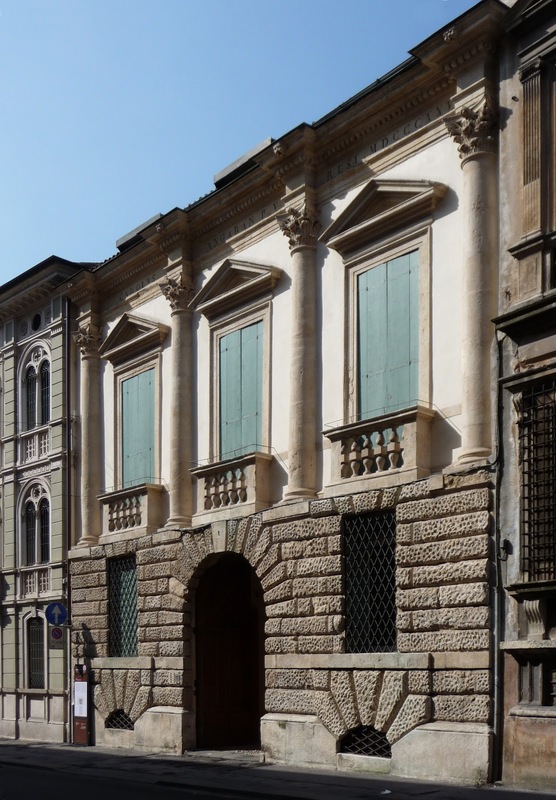 I’ve walked past this townhouse at 9 East 68th Street in Manhattan a hundred times, every time admiring its unusual and nonacademic facade so evocative of Palladio’s Vicenza, but only recently have I learned more about it and connected a few dots. Sometimes these things are in the air: two weeks ago, even as the facts were filtering into my consciousness, ‘Daytonian in Manhattan’ blogged about the house. Then, as I began writing this post a week ago—before a Fairpoint ‘upgrade’ undid my internet service for three days, a friend, not knowing of my recent interest, rang to mention that he had been to a party that evening in one of the apartments that now occupy the house, and his surprise that the elegant rooms lacked original woodwork. Well, for those who don’t already know, here’s the rest of the story—and the answer to Monday’s quiz. 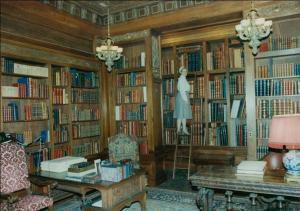 The house was designed by Heins and LaFarge in 1907 for Jeanette Dwight Bliss, the daughter of a wealthy cotton merchant, and widow of George T. Bliss, the namesake son of the partner of former Vice-President Levi P. Morton in the banking house of Morton, Bliss & Co. Bliss Jr., who died of appendicitis in 1901, was a collector of rare books, and his wife continued his collecting, in addition to her own fine collection of French decorative arts. 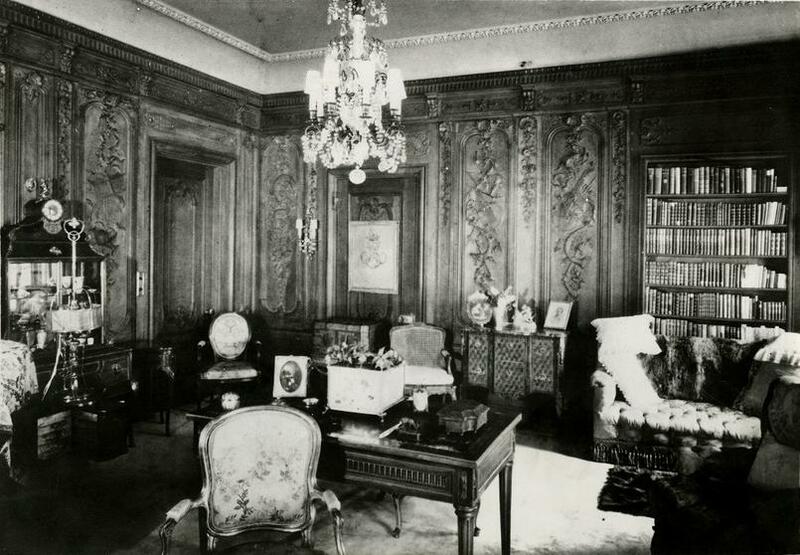 For her new house, Mrs. Bliss and her architects collected, in the manner of the day, an assortment of antique European interiors and architectural elements to provide the proper atmosphere for her collections. Among the glories of the house were a small boudoir originally designed by Pierre-Adrian Paris for the Hôtel de Crillon on the Place de la Concorde in Paris, a sixteenth century ceiling from Italy for the library, and early 18th century boiserie designed by Lasurrance for the music room of the medieval Hôtel de Sens in the Marais. 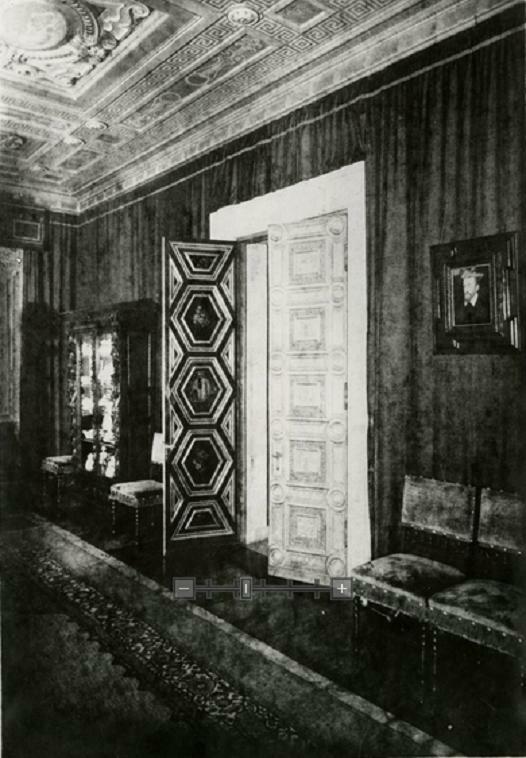 Not all the interior decoration was antique. 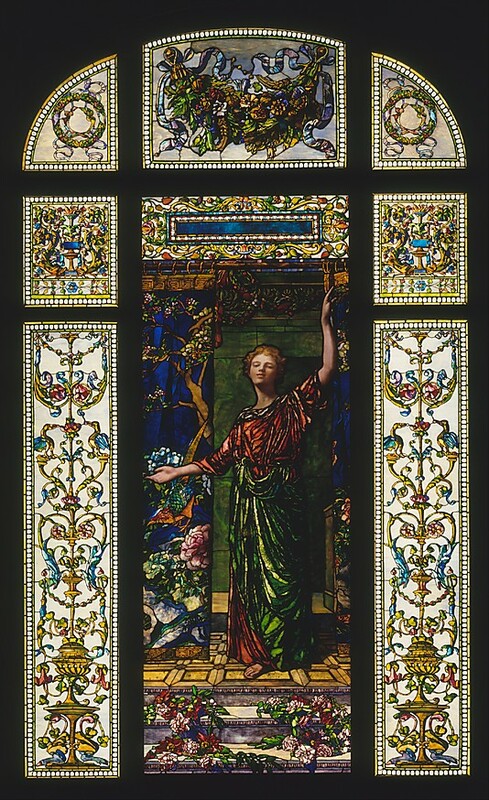 Mrs. Bliss’s architect, Christopher Grant LaFarge, was the son of the stained glass artist John LaFarge, who created the ‘Welcome’ window for the hall, with Mrs. Bliss’s daughter, Susan posing for the central figure. 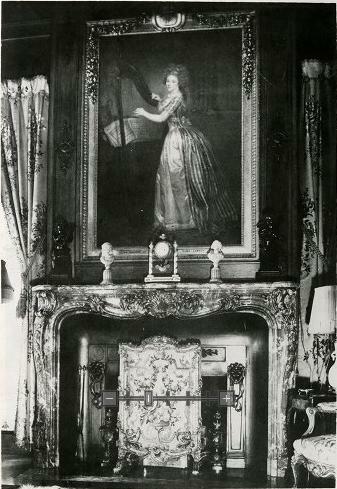 Susan Dwight Bliss never married, and lived with her mother at East 68th Street. 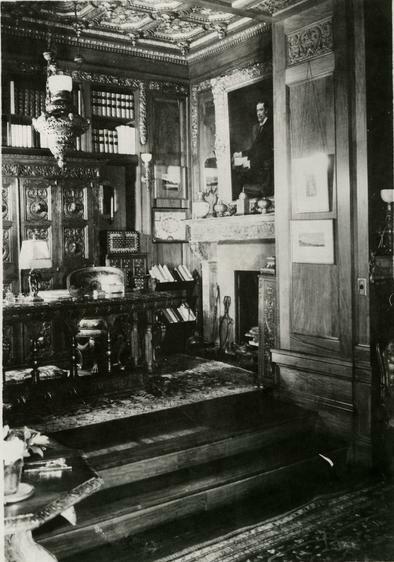 When they left town for the summer, they apparently preferred to lease, and they varied resorts from season to season, sometimes Newport, sometimes the Hamptons or the New Jersey shore, and sometimes here in Maine, at Bar Harbor, where their quarters ranged from ‘Cornersmeet’, a modest cottage on the Malvern Hotel grounds, to the more opulent surroundings of George Vanderbilt’s ‘Pointe d’Acadie’ in 1910 (the Vanderbilts were economizing in Paris after financial reverses, all things being relative) By 1912, they were in Seabright in New Jersey, and the New York times reported, with some consternation, that thier houseguest of the previous season, Count Eugene de Villa-Franca Soissons, a grandson of Prince Eugene of Savoy-Carignan, was ‘noncommital’ about reports that he was engaged to Susan Bliss, and speculated that his family did not approve of marriage to a commoner, no matter how rich. 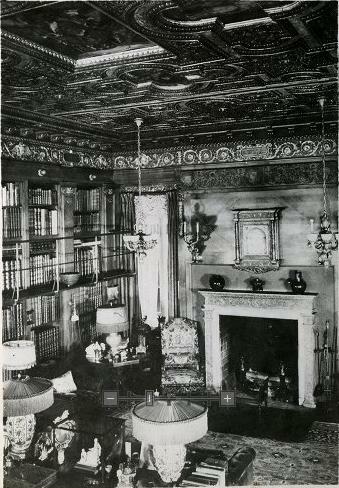 In 1924, Mrs. Bliss died, and Susan Dwight Bliss continued on at 9 East 68th, through the Depression and World War II, quietly supporting her many charities. 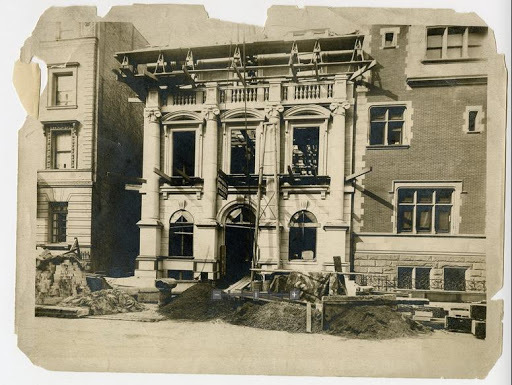 By 1945, it was thought that the age of the great town houses was over forever–the neighboring Marquand house by Richard Morris Hunt, on the corner of Fifth Avenue and 68th St., had been demolished years before and replaced by an apartment house. 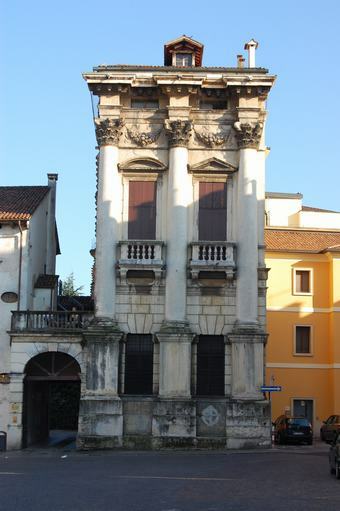 Many other houses in the neighborhood had fallen to institutional uses or been divided into apartments. 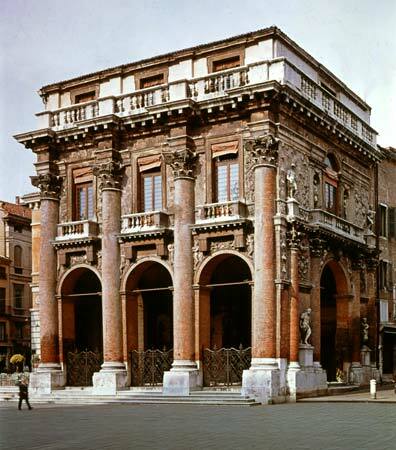 Rather than leave her house for an apartment, as many of her set had done, Susan Bliss decided to remain, but divided the house into several apartments, creating for herself in a 20 room duplex on the 3rd and 4th floors. 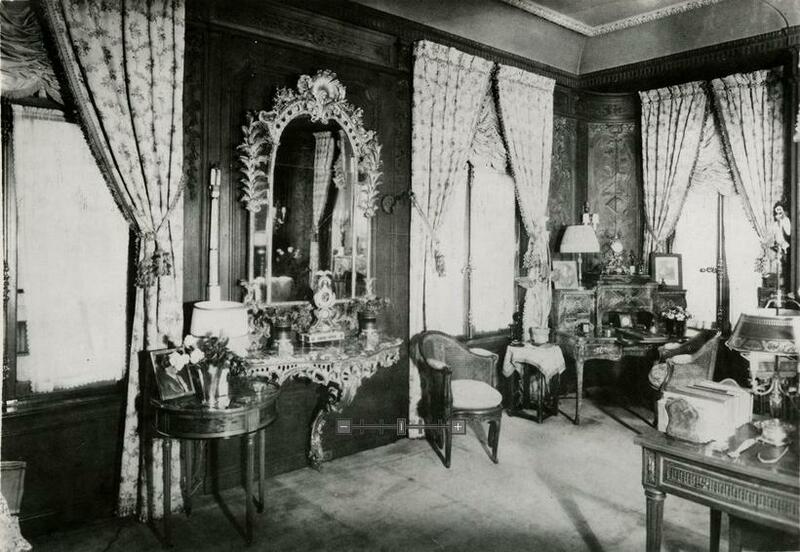 Her mother’s grand interiors were gutted and dismantled, and Miss Bliss dispatched several of them to new homes. 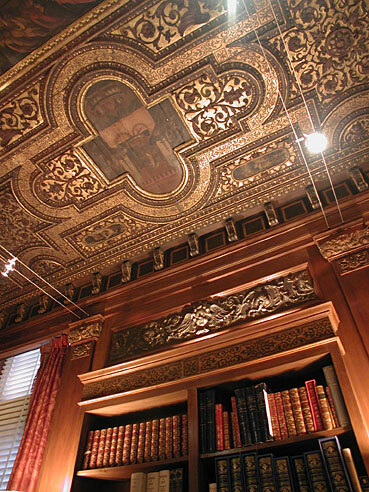 The library paneling designed by Christopher Grant LaFarge, supporting the antique Italian ceiling, was offered, along with a collection of her father’s books and fine bindings and light fixtures and furniture, to Bowdoin College in Brunswick, Maine. 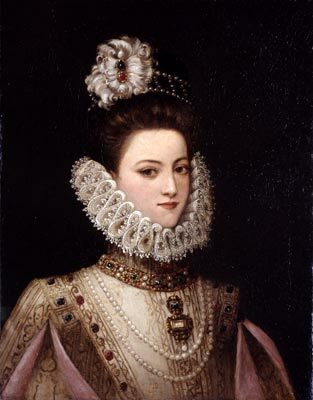 Bowdoin, although surprised—Miss Bliss had never before had direct involvement with the college–accepted the gift with alacrity. 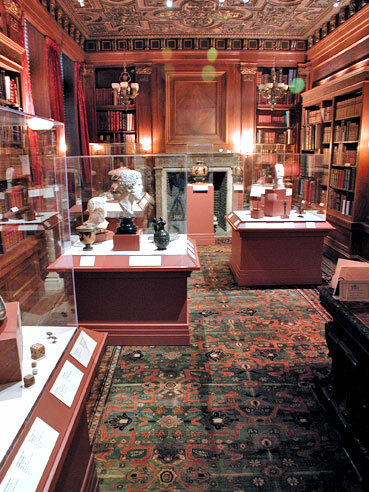 Another portion of the rare book collection went to Princeton. 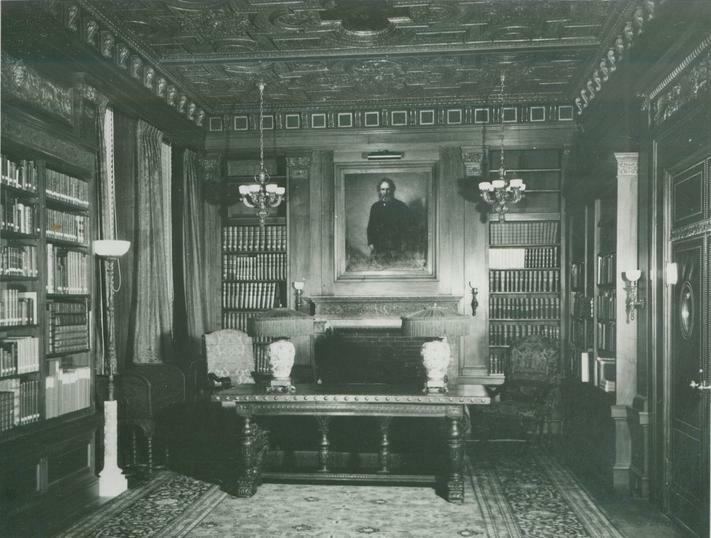 Also to Bowdoin went the boiserie from l’Hotel de Sens, where it was installed in Harvey Dow Gibson Hall, also by McKim, Mead & White, which houses the music department. 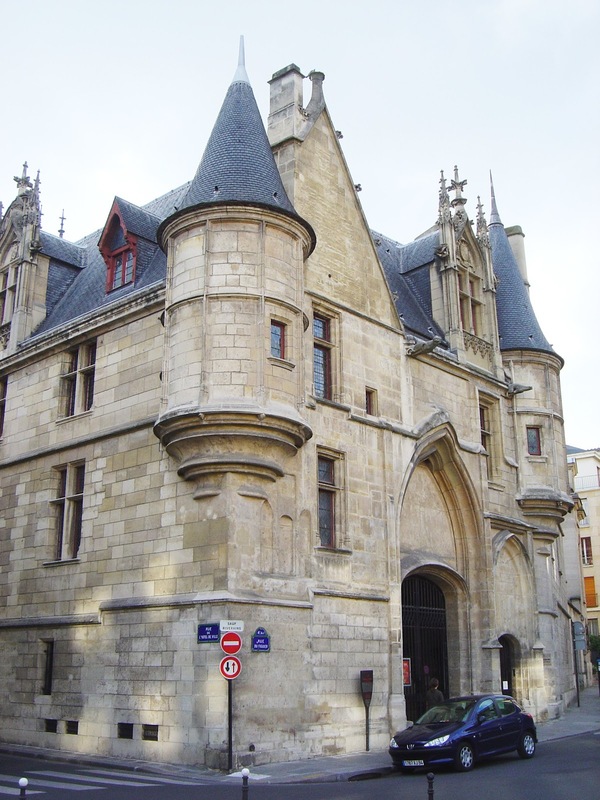 Another in your masterful series of academic, interesting, and information-packed posts of social, architectural, and domestic cutural history. Hats off to you, Sir! 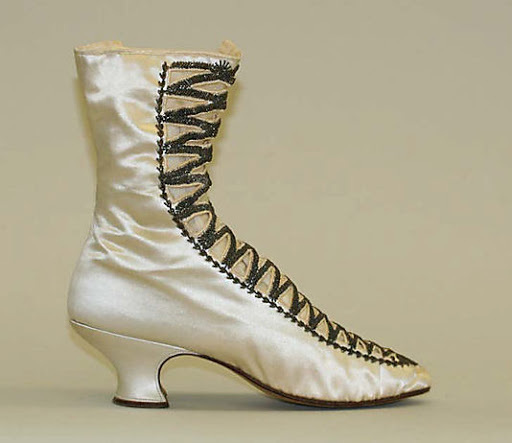 What a shoe – like the wicked witch of the west or something! ahh fashion.I'm eagerly awaiting your book- pennies SAVED! When I first saw the photos I thought it was going to be another tale of destroyed glory, but not quite that painful. So relieved that she was generous and intelligent enough to save the details. 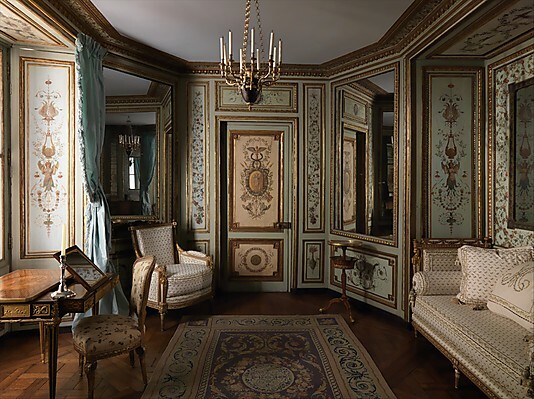 The Crillon boudoir is one of my all-time favorite rooms. Outstanding research; terrific article. Isn't curiosity the best of talents? Followed, perhaps, by erudite use of language and common sense. You, D D, seem to combine all three traits in just the right measure. Thank you. Duh. 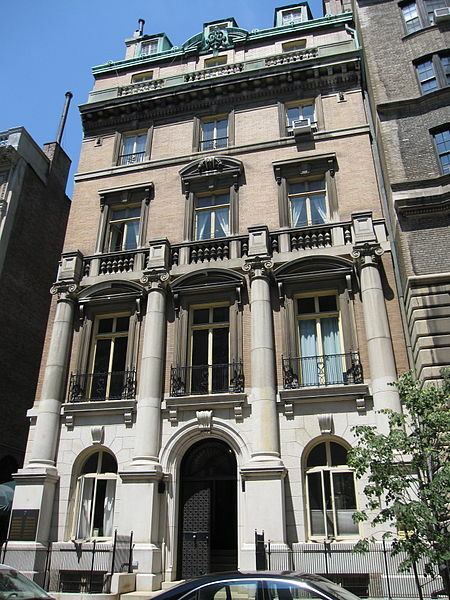 I actually knew that the Marquand house was on Madison, if I'd stopped to think about i(which I all too rarely do). The Dilettante needs a proof reader and fact checker on staff :-).Thanks for bringing it to my attention. Duly corrected.Wonderful photograph, btw. 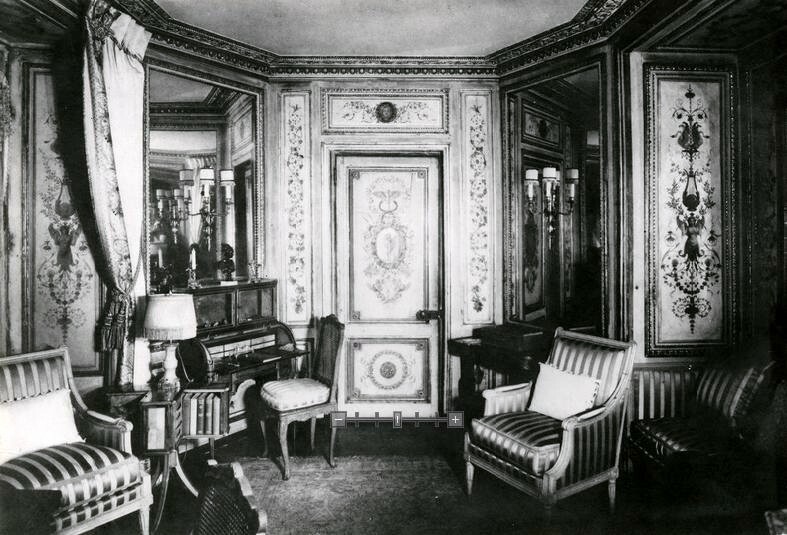 I have worshipped the boudoir from the Crillon Hotelfor many years. It is magical. But not until now hadI any idea that it had been installed at East 68th Stbefore residing at the Met Museum. This was a marvelous post, dear Dilettante. One of your very best! It’s amazing to go to see this site and reading the views of all mates about this article, while I am also eager of getting familiarity. I’m brand new to writing a blog however I do write in my journal every day. I’d like to start a blog so I can share my experience and views online.